A 65-year-old man has been arrested on suspicion of sexual offences by police investigating abuse claims arising since the death of BBC DJ Jimmy Savile. The man was arrested in Somerset and taken into police custody on Thursday morning, according to police working on the Met's Operation Yewtree. His arrest comes under the strand referred to as "others" by investigating officers, meaning he is unconnected to the Savile abuse. He is the 12th person arrested. 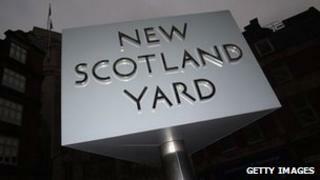 Allegations about widespread abuse began to surface in late 2012, about a year after Savile's death in October 2011. Operation Yewtree has three strands. One is looking specifically at the actions of Savile, and the second strand concerns allegations against "Savile and others". The third strand relates to complaints against other people unconnected to the Savile investigations, made by people who came forward after widespread coverage of the scandal. In January a Metropolitan Police report said Savile had abused adults and children across the country over more than five decades.